Zapowiedź! W sprzedaży w MARCU. Zamówienia z tym produktem realizowane będą w momencie dostępności! Right across Britain, people are making remarkable claims - they are reporting large feral cats resembling panthers, pumas and lynx. Month after month the sightings continue with citizens from all walks of life having surprise encounters with big cats. They may be driving, walking their dog, or riding a horse, but most reports are consistent and many are emotionally charged - people have encountered a big predator, in safe, suburban Britain. Tell-tale signs of the cats include freshly-eaten deer, the odd hair sample and droppings which reveal their diet. As wildlife filmmakers testify, photographing these stealthy creatures is not easy, even in their official countries. How have these cats established themselves? What are their territories, how are they breeding and are numbers viable? 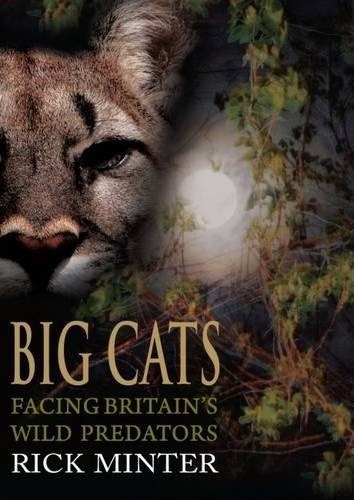 This gripping book reviews the evidence and considers the implications of Britain's large cats, for people and for wildlife. The book has many surprises - about the cats themselves and the human reactions. Most people tolerate the big cats they see, and many are wary yet excited. Men and women, young and old, urban and rural, the response is similar - people have experienced something truly wild and their senses have been awoken. They may be awkward to admit to, but these cats are part of our land - evolving in Britain, shaping the ecosystem as a new apex predator. Many people would rather keep it quiet. But it is time to tell the secret, in a measured way. This book explores the dilemmas we face as we come to terms with our emerging big cats.